I'm Jennifer Levy from CAVdesign, and our mission is to combine the practical with the imaginative, creating spaces that will bring joy and ease to your every day life. We also know that the process of changing your space can be stressful. We streamline the process guiding you through every step, handling the details from managing contractors to installing ‘just right’ finishing touches when your project is installed. And, if you have a smaller project, we offer design sessions and packages for every budget. While most of our work is in the New York area, we've also created beautiful living spaces out of town — in New Jersey, The Hamptons, Woodstock, Florida, and as far away as Granada, Spain. 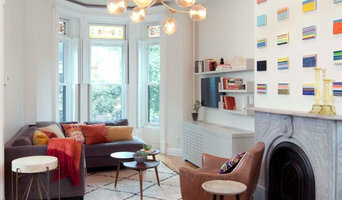 CAVdesign has been featured in Dwell Magazine, Apartment Therapy, Brownstoner, Houzz, Sweeten, and others. Get in touch - we are happy to discuss your project and answer all of your questions. BLYTHE DESIGN STUDIO has developed a reputation for crafting interiors that maximize light and area. 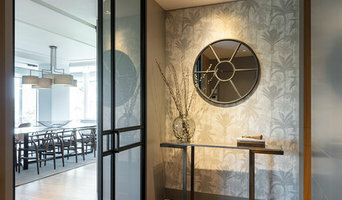 Bernhard Blythe, the firm's founder and Design Director has a knack for opening up spaces for better flow and function, while creating dynamic, contemporary environments that challenge conventional perceptions of what is possible. 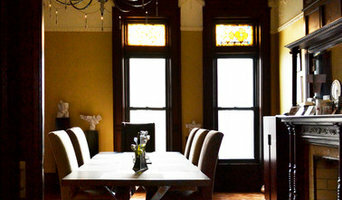 What are the benefits of working with custom furniture makers in Brooklyn, NY? Whether you’re looking for a custom couch or a new set of custom chairs, it can be difficult trying to find something that matches the rest of your decor and that fits into your space. But when you’re using the furniture in your home almost every day, it’s important that it works and brings you joy. Outfitting your home with custom made furniture ensures that your interior spaces work with your lifestyle and tastes. You’ll be able to specify just how big or small you want a piece to be so that it fits right into your home. You’ll also be able to match wood finishes to the rest of your furniture and pick out upholstery colors or patterns that reflect your style. 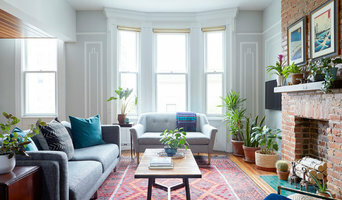 While working with local Brooklyn, NY furniture makers might seem like a big project, you’re likely to end up with a high-quality piece perfectly suited to your lifestyle and meant to last for years to come. Even if you like the sound of having furniture made specifically for your home, you may be wondering how to even begin. First, you should take some measurements of your space and the other furniture you have. Consider the colors and style of the room and how a new piece might fit in. Many custom home furniture companies in Brooklyn, NY will be able to give you a choice of different configurations and designs that you can choose from. They may also have pieces that are already made, so you might take some inspiration from those designs. Whether you’re looking for custom wood furniture for your dining room or a custom sofa for the living room, Brooklyn, NY furniture makers near you will be able to take your ideas and make something lasting out of them.